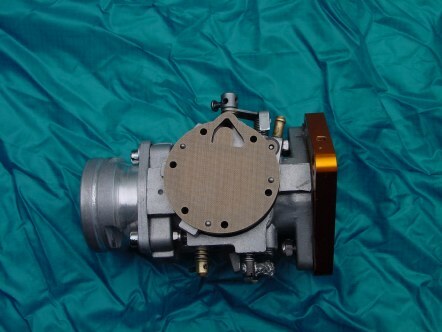 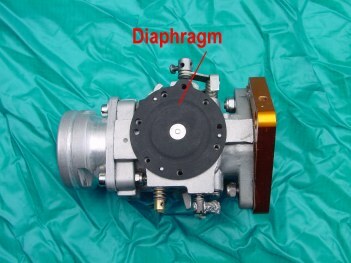 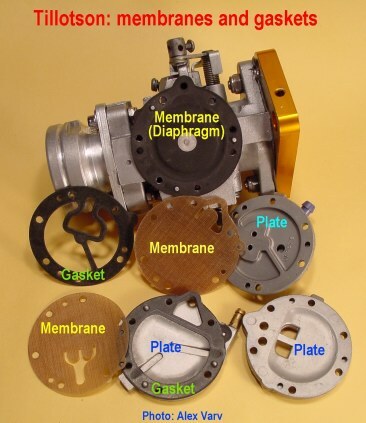 This page contains construction details of the Diaphragm Carburetors used in paramotors. 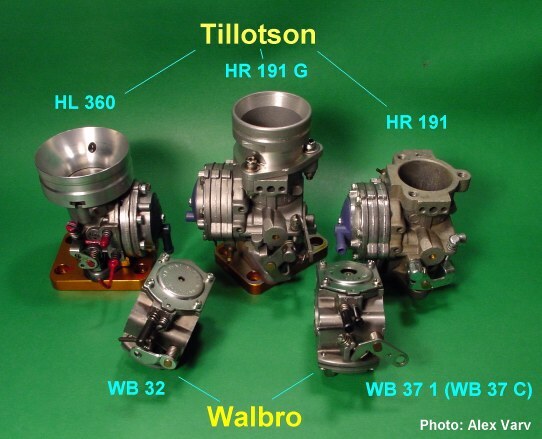 We will show both the popular Walbro 32, Walbro 37 c, the Tillotson HL 360 and HR 191 G models. 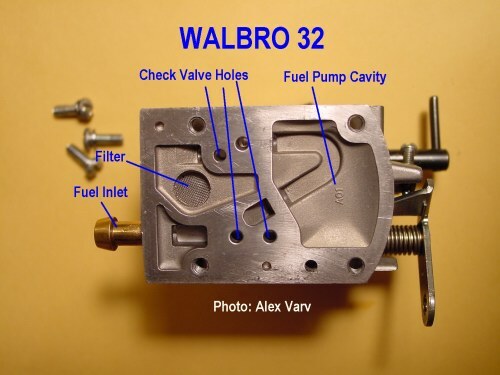 I wrote this article many years ago when the Walbro WB 37C carburetor was NOT used on PPG engines. 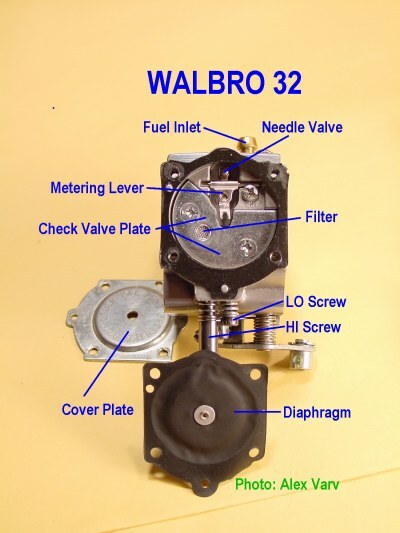 is so little that basically, following the instructions for the WB32 overhaul will allow anyone to overhaul a WB37C! 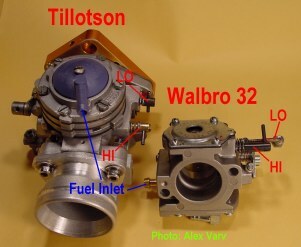 The first two illustrations below, show a cross section of the Walbro 32. 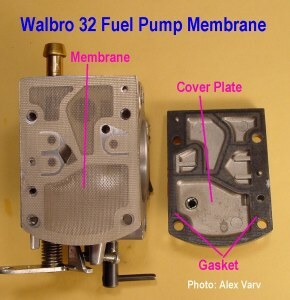 The black color represents the fuel as it passes through the carburetor. 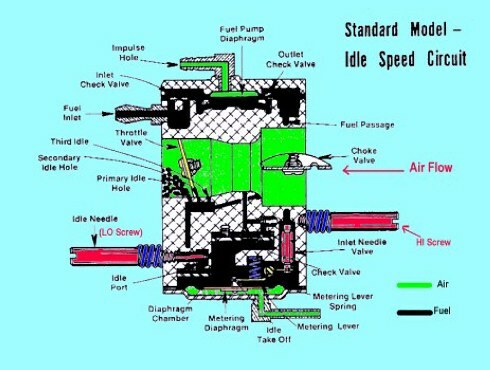 The green color represents the air. 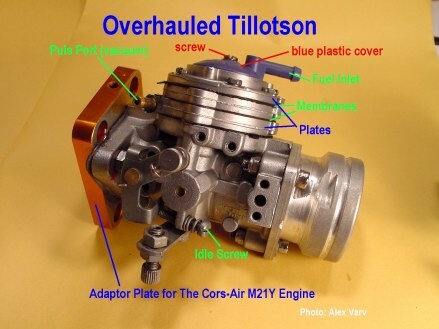 We will not present a cross section of the Tillotson because it is very complicated to draw and would take up too much space. 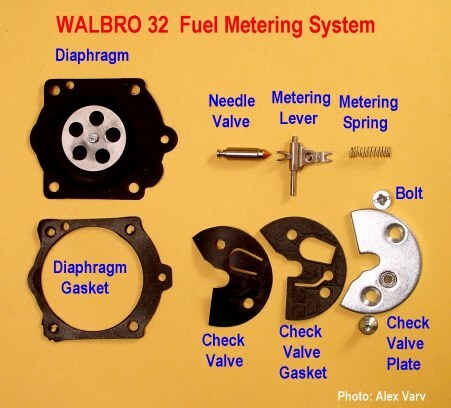 At Low RPM the fuel mainly enters the Venturi through three Idle Holes which are situated one after the other. 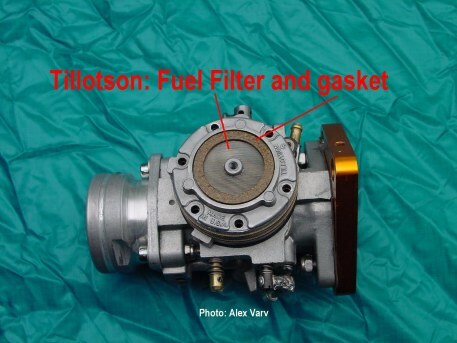 This ensures a smoother acceleration and prevents the mixture of running too lean when the Throttle Valve is being opened. 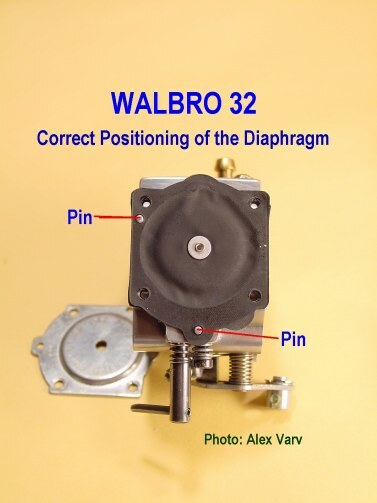 When overhauling a WB37C do NOT install the check valve under the half moon plate of the metering chamber! 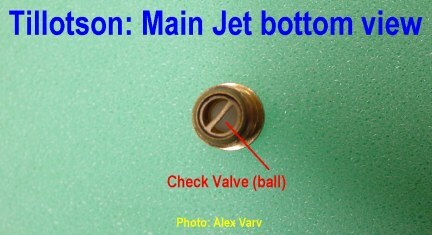 the check valve gasket under the "half-moon" plate!!!!! 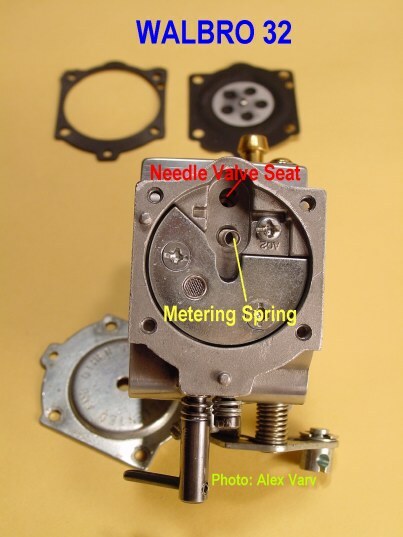 Important Note: shortening (clipping) the metering spring, will decrease the pop-off pressure; extending it, will increase the pop-off pressure. 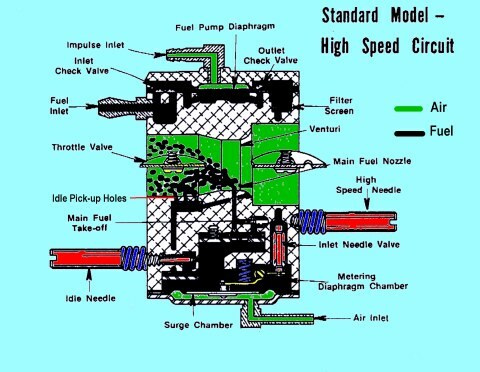 This subject will be discussed further. 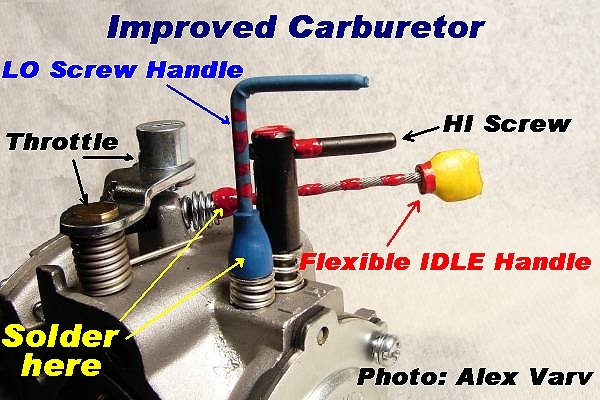 After many requests from different pilots I am publishing a picture (below) showing the improved handles of the carburetor. 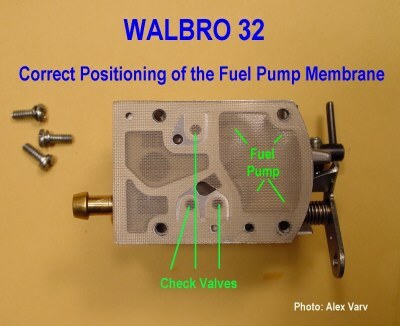 This will allow us to tune the carburetor while the engine is running. 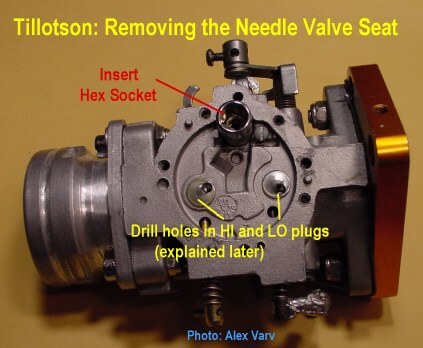 All I did was to solder a steel cable with a small handle on the Idle Screw and an "L" shaped nail on the LO screw. 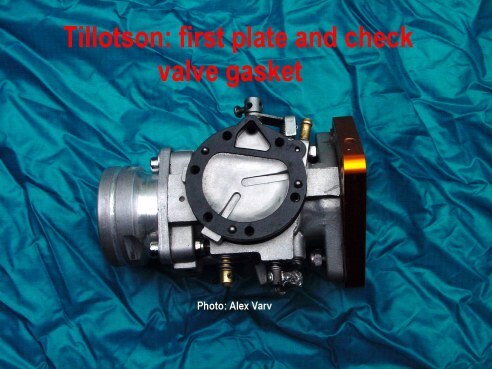 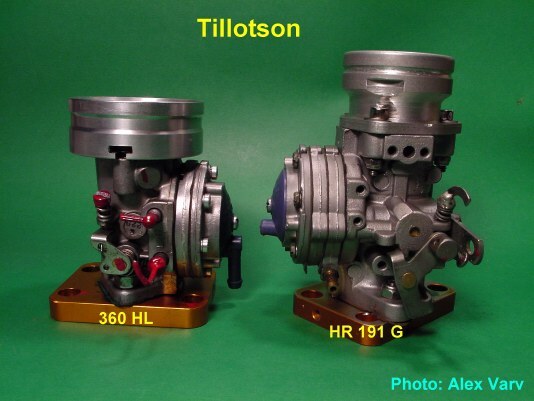 The Tillotson is a better carburetor (when it works properly). 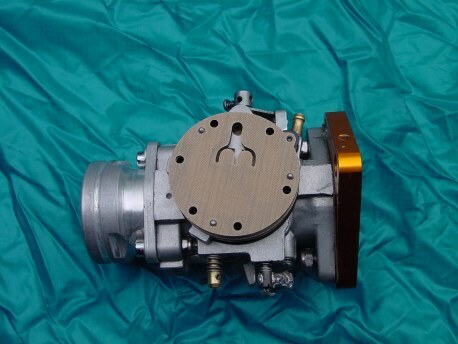 It is bigger, a little heavier and more complicated but it will give good performance in the mid- range RPM as well. 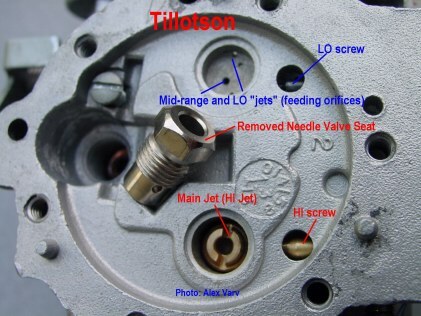 The HL 360 model is less complicated than the HR 191 G.
Now, we shall remove the "plugs" covering the HI and Lo jets. 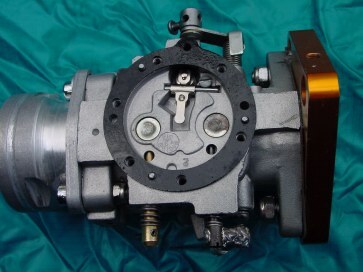 As seen above, each plate (plug) had a small hole drilled into it for easier removal. 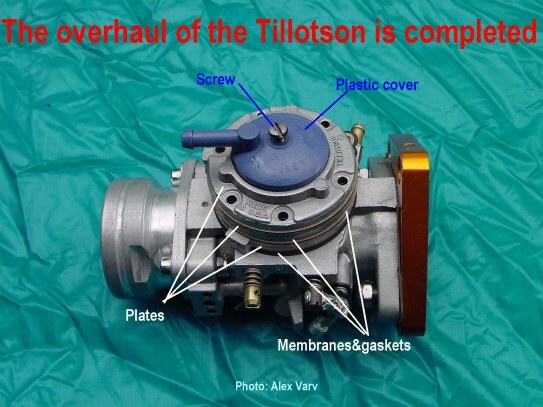 Last step: install the blue plastic filter cover. 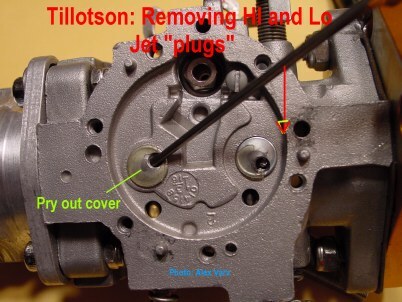 Important note: the screw MUST not be overtorqued! 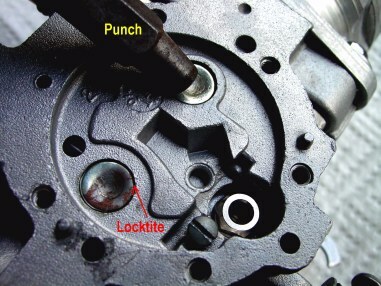 It will damage the plastic. 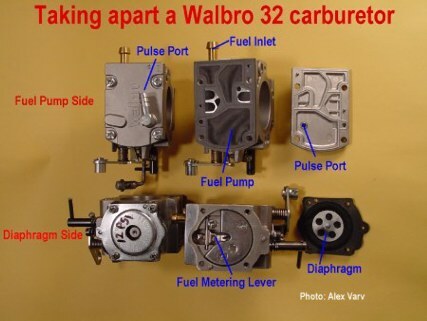 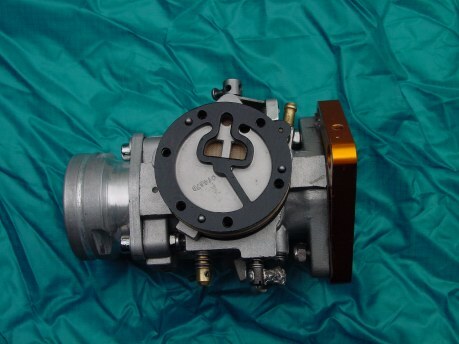 For more carburetor info, please check the Inventions Page the "Carburetor Related"